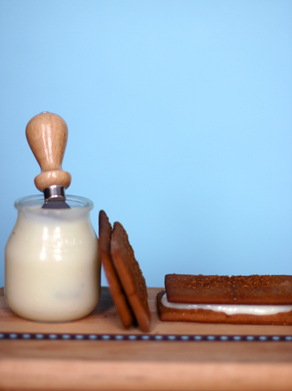 Make these yummy cream cheese "sandwiches" with honey Graham crackers. With an adult's supervision break each Graham cracker into 4 pieces. Then take a butter knife and spread cream cheese between two crackers and refrigerate for at least 2 hours! I loved this recipe! I tried it for one of my sleep-over parties and all my friends loved it. I like it's simplicity! Thanks for sharing this with me!